According to Kashmir Shaivism, Lord Shiva literally got bored of being alone for an inﬁ nite time. In his deep trance he thought that he should create an image of himself. He immediately discarded this thought on its face value because he thought that he will be aware of his image so what’s the point in making another image of himself. Shiva contemplated more in his intense trance as to what type of image or world that he should create. Shiva came upon a wonderful idea that he would create an image of himself like a human being but after creating it he would completely forget it and in turn man may have only glimpses of his spiritual belongings but will never know his connection without attaining the same state as Lord Shiva has been in. 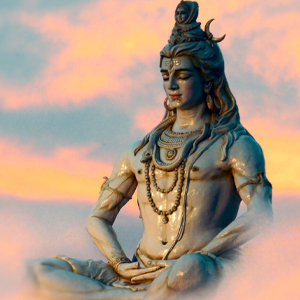 Shiva Sutra further emphasizes that ‘Sada Shiva’ created another Shiva who had all the qualities and embodied the Sada Shiva. This Shiva is fully capable of creating and destroying the world at his will but has no direct or indirect inﬂ uence on Sada Shiva. On the contrary Sada Shiva is absolutely independent and fully capable of controlling the activities of this Shiva but this worldly Shiva will not have even an iota of understanding of Sada Shiva. Kashmir Shaivism further states that Shiva or Purush – spirit- created the world with the help of Prakriti – matter or Parvati. Purush and Prakriti; spirit and matter; are the primordial forces which have created inﬁ nite universes, solar system, mountains, deserts, different natural regions, seas, rivers, ﬂ ora and fauna, living creatures and human beings. Before creating the world as we see it today, the primal job was to create the present solar system which can in turn create an environment for life, decay, growth and development. 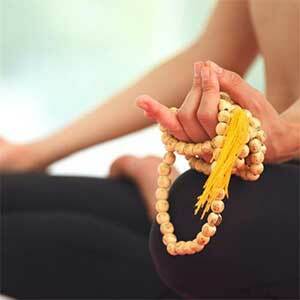 To begin with Nakshatra Meditation Pt. 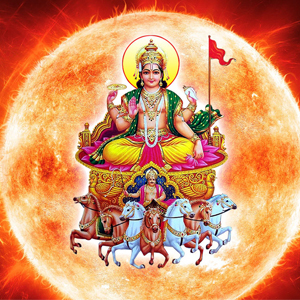 Ajai Bhambi, New Delhi ﬁ xed stars or constellations were created in the skies and were given a particular task to perform for all the "loks" or different worlds like spiritual, ancestors and the living world. 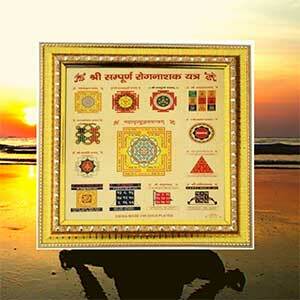 The zodiac was divided into twelve parts and each part contains two and a quarter nakshatra. 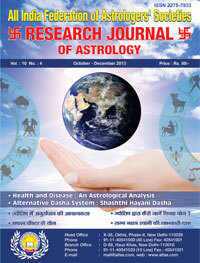 As we know that the zodiac is of 360 degrees; each part or sign is of thirty degrees and nakshatra resides over 130 20’. There are twenty seven nakshatras or constellations. The beginning of the universe was quite chaotic at a spiritual level because positive and negative forces started colliding with each other and did not allow the world to manifest easily. In other words demigods, rishis and gurus and demons and their gurus with boons from Gods were warring with each other for supremacy. Both the negative and positive forces wanted to overpower each other or failing which to destroy the other. At that point each nakshatra was assigned with a task to hold this universe with their sattvik and tamsik qualities. Each Nakshatra is empowered by Demi-Gods or God himself to strengthen them so life could manifest on this Universe despite negative forces being at their optimum. In this process different nakshatras were given the job to create or hold ﬁ re, water, earth, air and space. After ﬁ xing the sky with their special power and energy the Sun and the solar system was created along with eight planets which could roam around the entire universe and control, maintain and destroy life and maintain energy level throughout. Nakshatras are the passive heightened energy ﬁ elds which get activated when planets touch its ﬁ eld. The Moon represents the global universal mind as well as the human mind. Ancient sages were of the opinion that the world exists in mind. If we analyze it further then the world has two minds. One mind belongs to the Universe which is so awesome and inspiring that the human mind gets entangled, excited and engrossed with the universal mind. People say that human mind is inﬁ nite and this analogy comes from the universal mind because it is the universal mind that is inﬁ nite not the human mind. As a matter of fact human mind is very limited but nobody believes it because one’s inspiration comes from the outer world or universal mind it becomes unlimited. Even a man with limited intelligence will think and believe that he can grab the world in his ﬁ st which is of course impossible. Nakshatras and planets played a major role in establishing the world and peace at the spiritual level. Nakshatras were further given the role of keeping a record of all the souls who visit this world. The primordial desire of the soul is to experience different phases of life in the human body. A soul cannot reveal itself unless and until it resides in the human body and experiences the sufferings and joys at various levels. The irony of fate is that the moment the soul becomes body it forgets about the soul because that is what Shiva wanted when he created the world. The basic idea of Shiva was that the moment I create my image I will forget the image and image (soul) will not remember me. Each human being becomes an absolute independent entity with his uniﬁ ed mind, body and soul to do anything that he likes or doesn’t like. Once man takes birth in this world then he has the inﬂ uence of ﬁ ve elements namely ﬁ re (form), earth (smell), air (touch), water (taste), space (word). These ﬁ ve things are good enough to not only inﬂ uence but also entangle any human being. Man is also bestowed with three more vital characteristics: mind, intellect and ego. The combination of these eight elements gives rise to gunas in an individual’s personality. 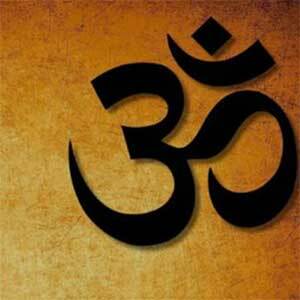 The three gunas are sattva, rajas and tamas. Sattva means purity, truth, light, intelligence; rajas means dynamism, action, aggression and ‘I’- ness, tamas: inertia, ego, dullness, ignorance. The imbalance or excess of these gunas leads one to form ones samskaras or attributes. All of us act in this world based on one’s samskaras or attributes. 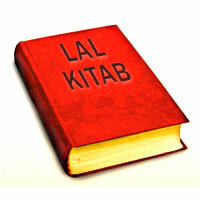 According to Bhagwad Gita, an individual is himself his own friend and his own enemy. Further, Lord Krishna says man has six enemies (ripus). If other people become inimical then their enmity can be traced to the root of their activities; but Krishna says the real danger of man is man himself. These six ripus are: Kama or desire Krodha or anger Lobh or greed Moha or delusion Madh or pride mixed with arrogance Matsarya or jealousy Besides these six ripus, man has three additional impediments. First is the impediment with outer inﬂ uence and due to this man drags himself into the outside world. The second impediment is ‘I-ness’ or man’s ‘I’ the ego. Due to over indulgence Man usually forgets his real self and starts believing that he is just a body. The third impediment is the mind itself. Life is an eternal journey and it ceases only when you have realized your own Shiva in yourself. Until then one has to go through the karmic process of life. When a man takes birth in this world then it occurs in some nakshatra and in a particular charan. 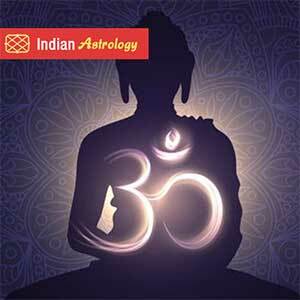 The birth in a particular nakshatra happens due to his own past birth deeds. In one birth man experiences the hatred which has been deep rooted in itself in the past many births. In another birth he may be the most loved one and so on and so forth. There are many desires and it is very seldom that all your desires are fulﬁ lled in a single birth. Every desire has an equivalent and forceful suffering also. The Nakshatra theory denotes that not only does one takes birth according to past karmas but enjoys and suffers due to his deeds. Buddha was aware 2500 years back that life is a suffering. Vedanta said thousands years back that ‘jeevan dukh hai’ (life is sorrow). We have evolved a new technique called Nakshatra Meditation or NM Technique. We suggest that undoubtedly life is a suffering when you are ignorant and the moment you are aware suffering drops automatically and life becomes full of joy. 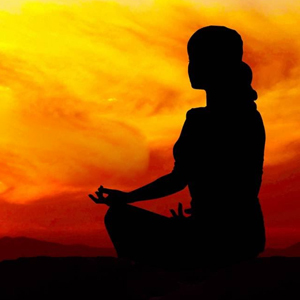 At Nakshatra Meditation we suggest a meditation technique for each and every nakshatra. 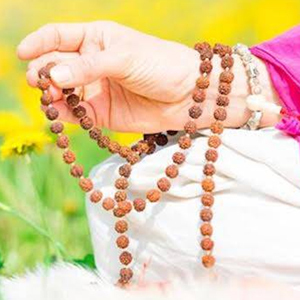 Nakshatra Meditation is a unique way of understanding our potential and these techniques can bring forth the hidden potential of an individual. 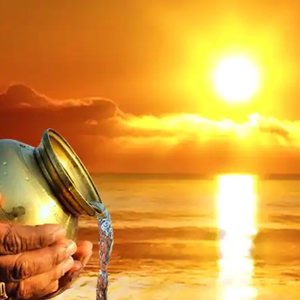 The NM Technique can bring the hidden positive qualities to the surface and at the same time help a person to rid himself of his negative qualities which are an impediment to our growth. Each technique needs just 40 minutes of your time. The ﬁ rst ten minutes are devoted to correct posture and breathing techniques. Both inhaling and exhaling are important and you will need to concentrate on your Sahasrar chakra, recite a mantra to get a rhythm of breathing. This rhythmic breathing while in a correct posture will help you clear your mind. As you get attuned with your breathing your mind disassociates itself from worldly affairs and connects you with your inner self. This yogic breathing will help you to detoxify your body. The next ten minutes are to be spent on focusing your mind to cleanse and heal your temple i.e. your body. If any part of your body is troubling you then in this stage it will help you relax and heal. Breathing will be relaxed with focus on your third eye. The next ten minutes are spent on concentrating on your karmas and getting letting go of your scars. Once you rid yourself of this baggage you will ﬁ nd yourself vibrating with positivity and you will feel alive and pulsating in the present. The ﬁ nal ten minutes is when you are in the mode of imagination. 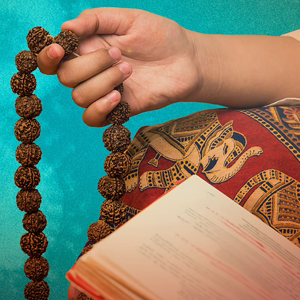 You connect with your nakshatra deity and imagine what you want to be. Your mind is clear, your body is healed and your focus becomes sharp. This way you connect with the cosmic consciousness where the entire cosmic energies engulf you. You are now connected with the oceanic cosmic consciousness. This helps make your goals achievable and you can work on them and attain them. This in general is the Nakshatra Meditation Technique but the technique is tailored according to an individual’s birth Nakshatra. This unique technique has proven to give remarkable results over a period of time. As one connects with the Brahmand using the NM Technique it can bring about a paradigm change in a person.